So you own a service business and you need leads or phone calls, right? There are only a handful of ways to drive new business nowadays, especially if you are a home services company light a general contractor, HVAC contractor, plumber, or even a carpet cleaner. Word of mouth, going door to door, or having a good presence on the major search engines like Google, Yahoo, and Bing. If you don’t have any of these thing going for you then your only other choice for you to grow your business are leads generation companies such as Homeadvisor, Angie’s List, and Thumbtack. Angie’s List is now owned by Homeadvisor so we will be comparing Thumbtack to Homeadvisor. Both companies can prove to be a good lead source and I can tell you I know companies that are using both services. The name of the game when it comes to owning a business is new customers, you always want to keep your pipeline. When your phone isn’t ringing, you are not making any money and money can run out quickly as a small business owner! 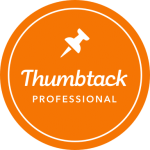 Pros: Thumbtack is a great source of leads for a small business owner. One of the nice things is you can just go after the types of jobs you really want, you get to see the project and then bid on it. This means you can just go after the project that makes the most sense for your company. Cons: One thing you need to know you are always bidding against 5 other small businesses for the project. In many cases, there are always companies out there willing to drop their shorts when it comes to getting business which means if you want that project you could end up doing it for free! 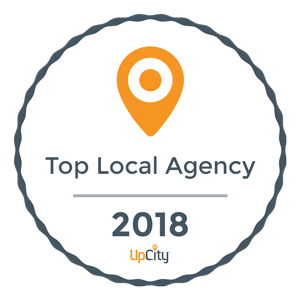 Homeadvisor is a bit different, they get a lead in via all major search engines or through a TV commercial then distribute that lead to the Pros in their network that signed up for those types of leads. Depending on the area you are located, there could be 3 Pros or 10 Pros calling that lead! Pros: Homeadvisor has a very wide net, both on internet presence and on television. In most cases, they are getting a large percentage of the leads in any given area. If you are a good salesman, you can pick a lot of the projects you are bidding on and really grow your business. 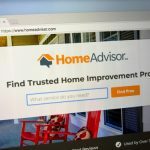 Google and Homeadvisor teamed up in 2015 regarding home services. Cons: These leads can be very expensive, depending on what services you offer can be from $20 per lead up to $200 a lead! That is just for the lead, not the job. The biggest complaint we hear from our clients is a majority of the leads don’t even end in at least a phone call, so the Pro never even speaks to the so-called interested party, That’s insane! May never talk to the lead you paid for! Both Thumbtack and Homeadvisor can be great for your business. They both offer a way to get in front of clients that are online searching for your services if you don’t have any internet presence in your local area or the areas where you want to work. There are definitely more effective ways in most cases to get in front of those potential clients. Building an online presence through search engine optimization is a good start, though if you want phone call ASAP, Google Adwords, and now Google Local Services Ads, if they are offering this in your area, is by far more cost-effective.